The Community Development newsletter is the MEDC’s media portal for organizational updates, program changes, and upcoming training opportunities. This effort is another form of outreach promoting those positive impacts that MEDC Community Development team brings to communities throughout the State of Michigan. With the MSHDA realignment last January, the MEDC Community Development (CD) unit has been working hard to streamline processes, improve customer experience, and change the conversation about community development. Every community has its own unique identity. That identity is best defined by the community itself. This is the philosophy behind MEDC CD approach. Instead of taking a reactive position to developer-driven projects, the MEDC CD team is working alongside communities to be proactive about realizing the patterns of growth and investment most desired at the local level. In short, we are looking for community driven development that embraces local identity. 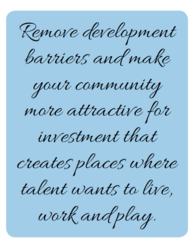 In order to be vibrant and competitive, Michigan communities must be ready for development. This involves planning for new investment and re-investment, identifying assets and opportunities, and focusing limited resources. 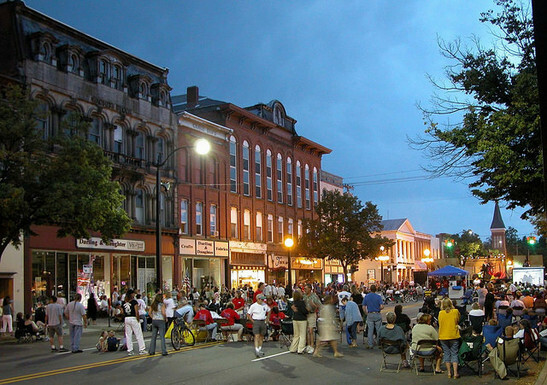 Certified Redevelopment Ready Communities ® (RRC) chart their own growth, encourage business attraction and retention, offer superior customer service, and provide a streamlined development approval process. Beginning October 1, 2017, RRC ® engagement will be a criterion used to assess and prioritize investments for MEDC CD. If your community is not already engaged in the program, reach out to your Community Assistance Team (CATeam) Specialist today to learn how we can work together. To date, there are 54 communities engaged in RRC, which means the community has attended best practice training, completed the RRC self-evaluations, and passed a resolution to participate. Those new to the program will have several opportunities to attend trainings throughout the State and learn more about RRC and its best practices. Additionally, MEDC CD field teams are coordinating with regional CDC partners and local staff to host meetings throughout the State to provide communities with an opportunity to discuss the program in detail, its benefits and future impacts. Over the next year, MEDC CD will be providing best practice training. 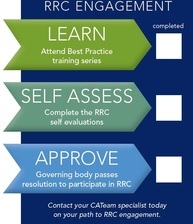 Developed by experts in the public and private sectors, these best practices are the standard for achieving RRC certification, and are designed to create a predictable and straightforward experience for investors, businesses and residents working within a community. Trainings are free and ongoing. Understanding that the best practice trainings are numerically ordered, one can attend the trainings in any order. Please find more information below. For more detailed information, including registration, please click here. At its November Board meeting, the Michigan Strategic Fund (MSF) approved up to $20 million in Community Development Block Grant funding for the competitive Infrastructure Capacity Enhancement (ICE) funding round. 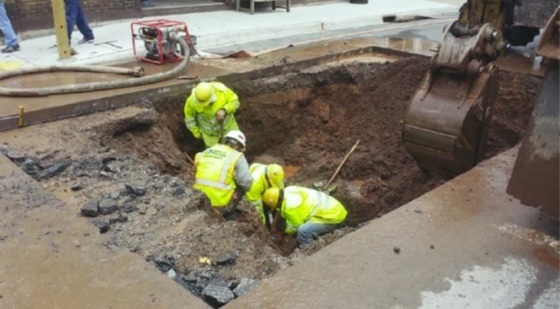 The purpose of the ICE round is to accelerate economic development and assist low and moderate income communities in making improvements or upgrades to their existing public infrastructure systems. Activities could include upgrades or improvements to existing water lines and related facilities; sanitary and storm sewer lines and related facilities; wastewater treatment plants and related activities; and road replacement activities related to these projects. Grants of between $500,000 and $2 million will be awarded to eligible communities on a competitive basis. An application and guidelines will be available shortly. Contact your MEDC CATeam Specialist for more information on timing. It is important to note that with any ICE application submitted for consideration, the project must be outlined in the community’s Capital Improvements Plan (CIP). Previously, the MEDC has partnered with the Michigan Association of Planning to provide training on CIPs and has two additional sessions scheduled. *Video conferencing available. For more information, including registration, please click here. Stay up-to-date with upcoming events and all of the latest news from MEDC Community Development by connecting with our LinkedIn page.